September 19, 2013 — Four Ethiopian Air Force Captains defected and joined Ginbot 7, an exiled opposition group based in neighboring Eritrea, according to the Ethiopian Satellite Television (ESAT) in its nightly broadcast. The Amesterdam-based news network says the four pilots had recently completed missions in Darfur under UN peace keeping mission and had previously played a major role in the 2006 Ethiopian invasion of Somalia. The names of these senior captains who abandoned the TPLF regime in Addis Ababa are Cap. Aklilu Mezene, Cap. Tilahun Tufa, Cap. Getu Worku and Cap. Biniam Gizaw. 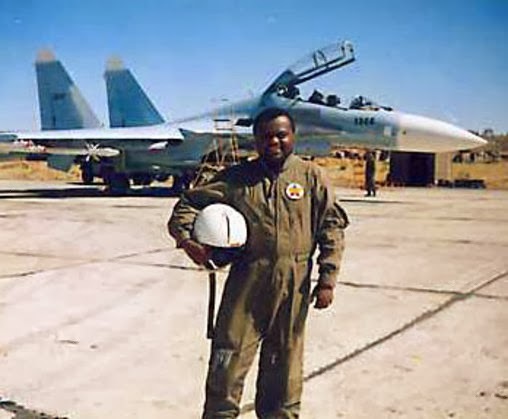 More alarming for the regime, the defecting pilots are said to have taken at least two SU-27 jet fighters, costing US$30 million each, to Eritrea, according to a source in Addis Ababa, who declined to be named for fear of reprisals. Ethiopia is no stranger to high profile military defections. In 2005, eight Ethiopian air force pilots, who were training in Israel, defected and claimed asylum at an Eritrean embassy in Israel. Similarly, in 2006, over 300 Ethiopian troops, including Brigadier General Kemal Gelchu, along with his trusted colonels, defected to Eritrea.